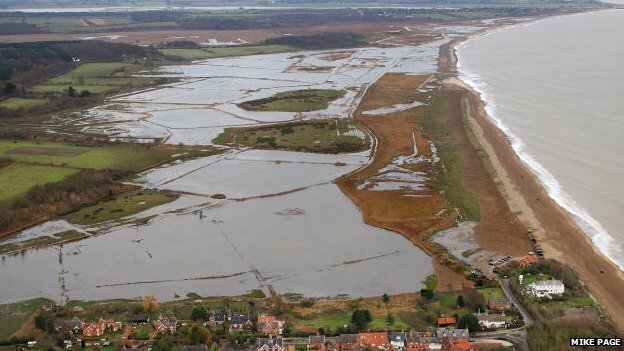 and so that beach walk, this walk takes us along the beach from Southwold, Easton Bavents, Covehithe, and on toward Kessingland. There is lots of coastal erosion along this walk and it is sad to see with each year just how far inland the sea is going. If you look at the links above you can see just how close the homes are to the cliff edge and after the recent storm surge I expect even closer! He just had to try! 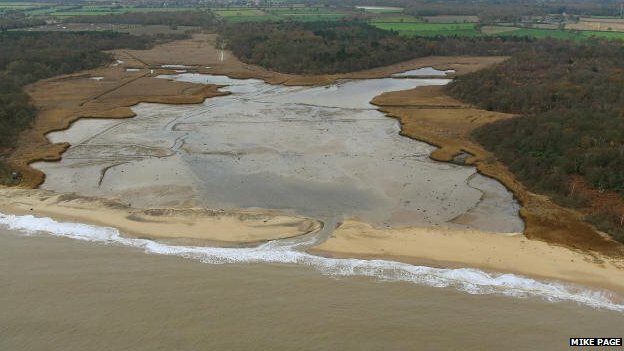 This is a picture that came from the BBC website of the damage to the beach after last weeks tidal surge, the beach has been breached and flooded into the marshes. Mother Nature likes to remind us now and then as to just who is in charge.